Landschaf sheep are a cross between German and Dutch heath sheep and a marsh sheep. Since 1934, they have been bred in the northern German Emsland area, especially in the county of Bentheim. 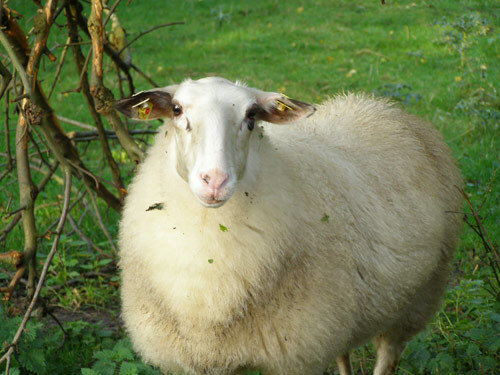 The highly endangered, frugal Landschaf is used for landscape preservation. It is the largest of the German heath and moor sheep with long legs and hard hoofs. They have a slender, long head, Roman nose, small ears, no horns, long and woolly tail. They are white, but dark pigmentation is permitted around the eyes, on the ears and on its legs. Fleece weight is 3-4 kg (6.6-8.8 lbs), with a fiber diameter of 34-40 microns.